Are you a non-profit organization or individual looking to raise awareness for your cause? ​Here are some ideas. At DadHatsFactory.com, our mission is to provide smaller groups/volunteers, as well as non-profit organizations an opportunity to raise cancer awareness with our free dad hats. We believe if you are dedicated enough to go out and try to make a difference, cost of promotional products should never be the issue. These types of hats have been around for many years and don’t necessarily offer anything new, but with a catchy phrase like, “dad hat” coupled with multiple celebrity endorsers… they are the most talked about hats in fashion. Whether your movement is trying to increase awareness for a particular organization or for a specific cancer, we want to support you. 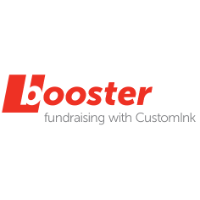 CustomInk created Booster to make it easy to raise money and awareness for your cause. Sell t-shirts and other custom apparel from CustomInk without buying any shirts upfront or worrying about handling inventory. Just pick products, then create and share your design and story. Boosters are perfect for any group, cause or community.